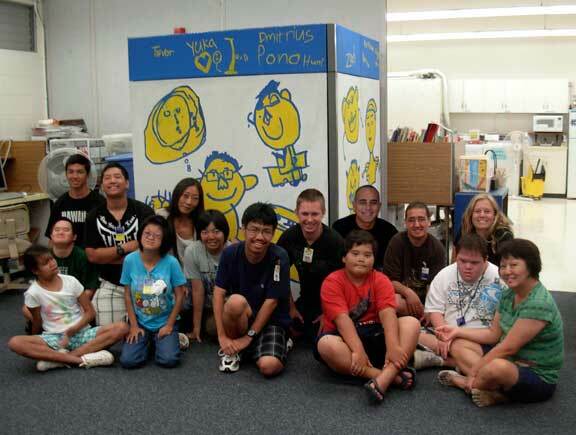 Hyeyoung and I had the pleasure with to work with the special education students in classroom E104 at Kaiser High School over the summer. In this project we had the students draw portraits of each other on paper. 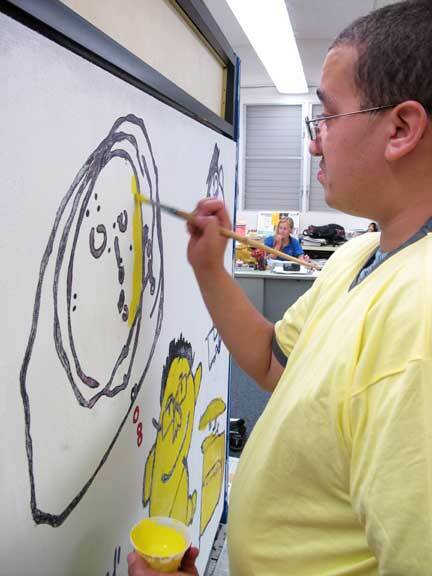 I enlarged their drawings onto large panels for them to paint. 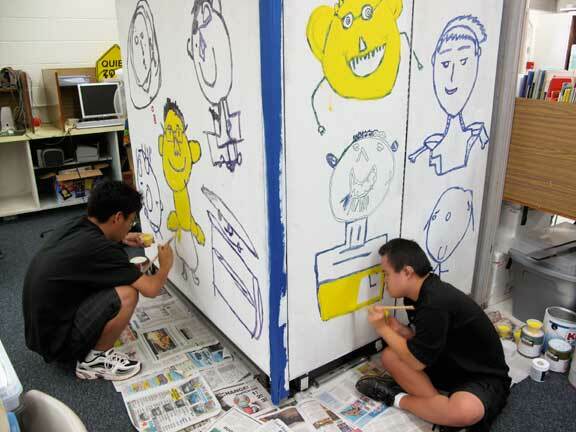 I enjoyed watching how the students interpreted their fellow classmate through drawing. Very cool.